You may wonder what Dominican monks and skin care products of today have in common. It seems like an odd combination of a mix of old and new, but if it weren’t for some very curious, and artistic, Dominican friars during the early 1200’s, we may not have some particularly remarkable beauty products of today. The products that are being referred to, are Santa Maria Novella products. Santa Maria Novella products are some of the most luxurious personal products in the world. This high-end company is responsible for some of the most exquisite colognes, perfumes, candles, potpourri, soaps, and other skin care products. Originally formulated in one of the oldest pharmacies in the world, creators began to experiment with medicinal herbs, in the hopes of establishing useful medicines, ointments, pomades, and balms. The herbs were grown in the monastic gardens, and the innovative creators were the Dominican monks. They began working on these creations shortly after their arrival at the ancient pharmacy in Florence, around the year 1221. After the arrival in Florence, it was at this time, that the Officina Profumo Farmaceutica di Santa Maria Novella was officially opened. It was at this location, in Florence, Italy, where the monks used their creations for the people in the convent’s infirmary. Little did they know then, that their use of raw materials of the highest quality, and the formulas they developed, would still be a desirable commodity almost 800 years later. The monks can be referred to as the first Santa Maria Novella apothecaries. This old-world pharmacy wasn’t opened to the public until 1612, by a man named, Fra’ Angiolo Marchissi. Not long after the opening, the pharmacy was given the name of his Royal Highness’ Foundry, also known as Fonderia di Sua Altezza Reale. It wasn’t until closer to the 18th century, when the Santa Maria Novella products, that were originally created by the apothecary fathers, would reach the borders of places, such as; Russia, China, and the Indies. In the year 1866, church assets were transferred to state control, and a man named Cesare Augusto Stefani became the original layman to control the whole enterprise. Coincidentally, he was the nephew of the last director of the monastery. Today, after all of this time, these fine products that were initially formulated by Dominican monks, have been perpetuated and renewed, as they continue to include the finest, purest ingredients, and are sold around the world. You probably are curious now, about where to buy Santa Maria Novella products. One luxurious spa that carries these fine products is the Sepi Spa, in the Los Angeles and Santa Monica area. Sepi Spa offers a wide assortment of Santa Maria Novella items, along with extensive knowledge and expertise of the products, in order to inform their clients, as they make the right beauty decisions and purchases. Sepi Spa also has a large variety of Santa Maria Novella products online at sepispa.com. An online search will also lead you to other retailers that offer these fine, high-quality products. Of course, if you happen to find yourself in Florence, Italy one day, then you will be able to purchase Santa Maria Novella products at the original site. Below are some highlights of some SMN fine products that deserve special attention and information. Santa Maria Novella Potpourri (Pot Pourri) is a splendid combination of flowers and herbs that are all grown pesticide-free in the Florentine Hills of Italy. The flowers and herbs are hand-picked, so the freshest and healthiest plants are used in the processing system. Next, they are soaked in huge, earthenware containers, sealed and preserved with wax, and aged for several months before they are packaged for retail. The potpourri is 100% organic, and is especially favorable for supplying glorious and welcomed scents to homes, gardens, cars, and anywhere else the purchaser chooses. One loyal fan quotes, “Cannot get enough of this lovely, calming scent. It truly is spiritual”. Santa Maria Novella Acqua di Colonia, also named as the Queen’s Cologne, was originally formulated in 1533, in honor of Queen Caterina de’ Medici. It is available in two different sizes, so you have a choice regarding the size you wish to purchase. The composition of the Acqua di Colonia is bergamot, citrus, white flowers, and assorted spices. One reviewer states, “It is a bright scent, and has a sparkling quality, with just a tiny, spicy kick”. Santa Maria Novella offers several varying colognes that are sure to please any distinguished person. Santa Maria Novella Soap from Florence is a product that is easy to fall in love with, and once you have tried one of their remarkable bar soaps or liquid soaps, you may find it difficult to go back to using any other brand. The almond bar soap, which is one of their oldest creations, is made of 100% almond oil, and leaves your skin feeling extremely soft and luxurious. Another favorite bar soap is the pomegranate soap. All of the Santa Maria Novella bar soaps are hand-pressed, aged for a minimum of 60 days, and then hand-wrapped for marketing purposes. Their unforgettable scents will last for a very long time, as will the pleasure they provide. Santa Maria Novella pomegranate candles are another favorite among SMN enthusiasts. For generations, the pomegranate candle has been seen as a lucky token throughout Italy. Many families believe in the power of the pomegranate candle, and its’ ability to bring good luck, good fortune, and good health to those that keep one within their home. The pomegranate candle is a fragrant candle that is beautiful in its’ ivory color, and has the company’s logo, SMN, hand painted on its’ surface, with gold. It has been a best seller for the company for a very long time. Lastly, in this list of remarkable products, is the Santa Maria Novella Perfume reviews and perfume choices. Santa Maria Novella offers a large variety of perfume and cologne scents. You may find it challenging to pick just one scent that is your favorite. All fragrances are formulated using the flowers and herbs from the Florentine Hills in Italy, as are all of the SMN products. One of the people who adores the Santa Maria Novella products, states, (SMN) is “Elegant, quiet luxury. Santa Maria Novella is pure refinement”. In conclusion, Santa Maria Novella products are among those rich pleasures in life that should be enjoyed and savored. They have a unique history, fine-quality products, and a bright and promising future. Did you know that Santa Maria Novella is the name of a train station in Florence, Italy? 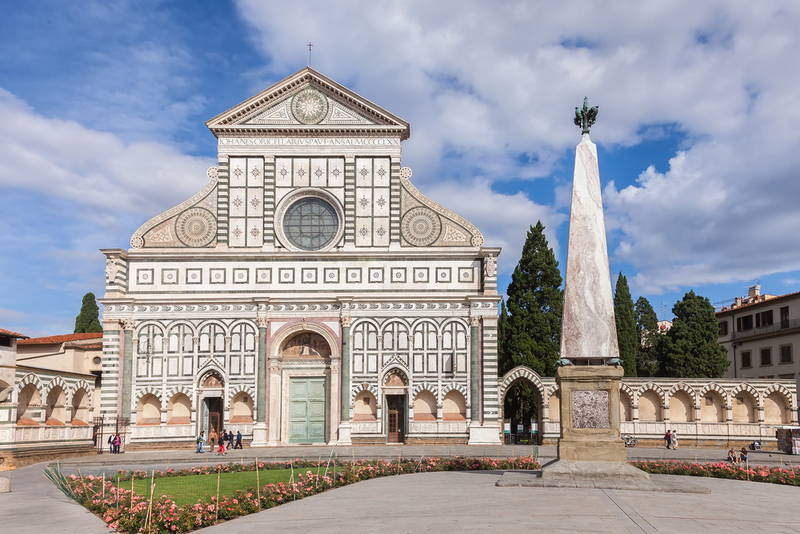 In addition, Santa Maria Novella is also a church outside of that Florence train station. It would be so exciting to visit the original spot where these treasured items were created, but we are all so fortunate that we can locate them with a little more ease these days. In addition to shopping their site’s wide range of beauty products, you can also head over to the Sepi Spa, located at 1624 Montana Ave, Santa Monica, California 90403. This spa offers an array of services and products that cater to all your spa-going needs. Ever wonder what it would be like to have a celebrity-style spa treatment? Come to Sepi Spa and find out!